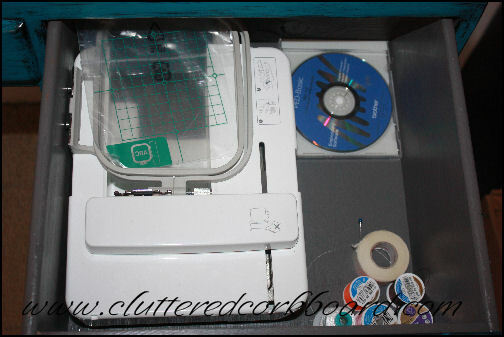 I have been working on getting my new craft room space organized.. and I am using what I have around the house to do it. There is quite a bit to show to I am going to break it up into more than one post. 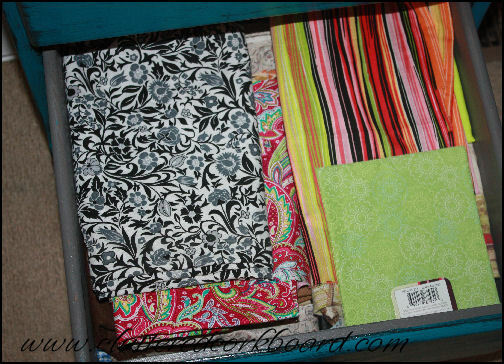 Today I decided that I will be sharing the Sewing side of things.. But I got it done.. and here it is! I think I rearranged the colors about 20 times before deciding to leave it. I decided to use my 'new to me' desk that I recently gave a makeover to, as my sewing station. Let's take a look inside the desk shall we? Drawer #2... The embroidery attachments and some extra threads. 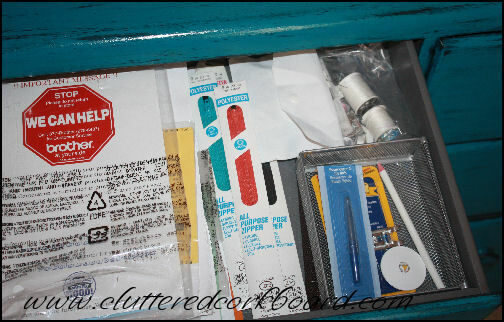 Drawer #3.. (also known as the: Miscellaneous drawer) Velcro, Elastic, Heat bond, webbing, stuff to use for making key chains/dog collars etc.. 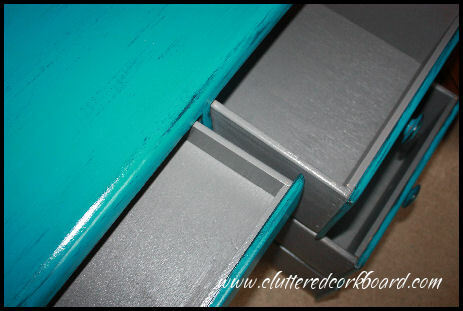 I really like the gray contrast inside the drawers.. so glad I chose to leave that gray! 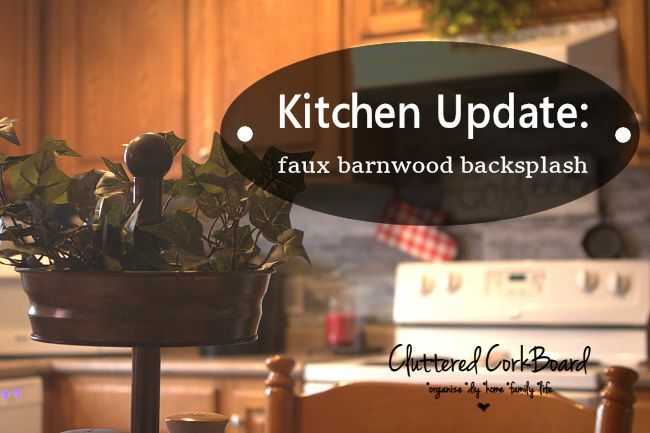 I already have several idea's to work on.. besides a couple items that need fixed. So far really happy with how the craft room progress is going. Looking good! 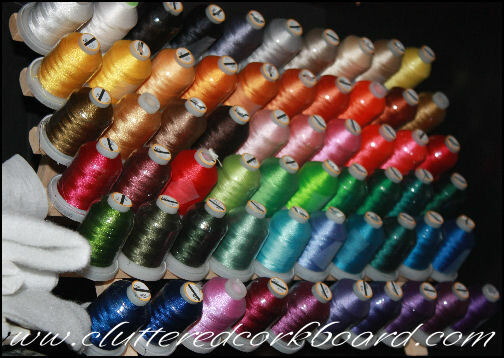 I love all the colorful spools of thread...:) When in doubt on arrangement, rainbow order always works! 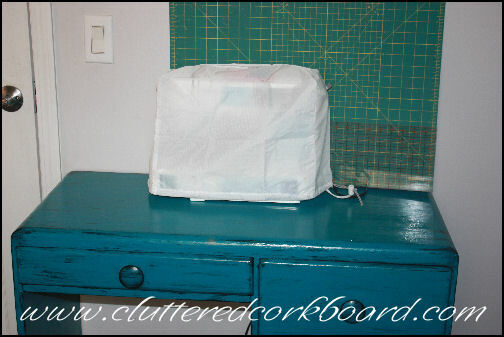 Your desk worked out perfectly for a sewing station! I have a piece of that same bright striped fabric...:) Looking forward to seeing more! 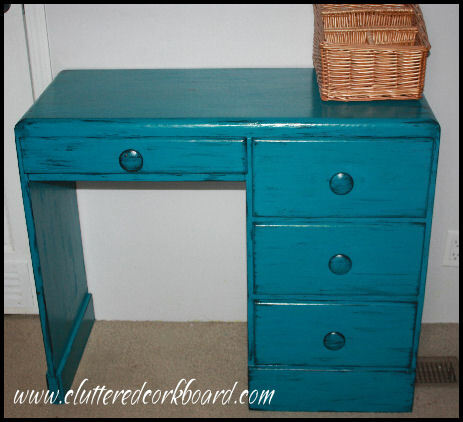 Craft room Hutch gets a new look..
Free Desk Gets a Makeover..